Weight: 7 lbs. to 8 lbs. The Alvin Lightweight Tracing Paper Roll features exceptional qualities perfect for both detailed design and rough sketch work. Suitable for pencil, ink, charcoal, and felt tip markers, it accommodates a wide array of drawing and drafting applications. Its smooth surface allows drawing without bleeding through and ensures clean and precise projects at all times. 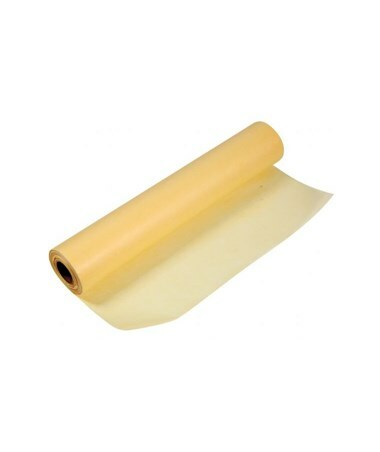 This lightweight tracing paper comes in two colors: white and yellow. It weighs seven pounds for the yellow variation and eight pounds for the white one. It is highly transparent making it ideal for overlaying. It permits multiple overlays while maintaining the legibility of other layers. 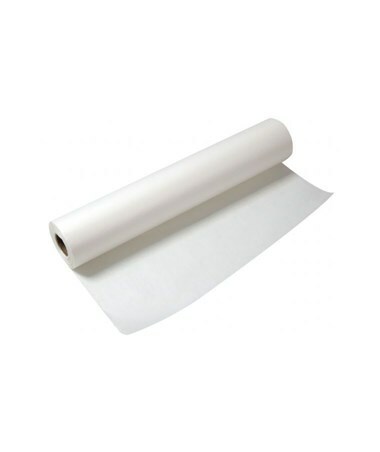 The Alvin Lightweight Tracing Paper Roll is rolled on a one-inch diameter core. It is available in 20-yard and 50-yard roll and offers a wide range of sizes to suit various needs. 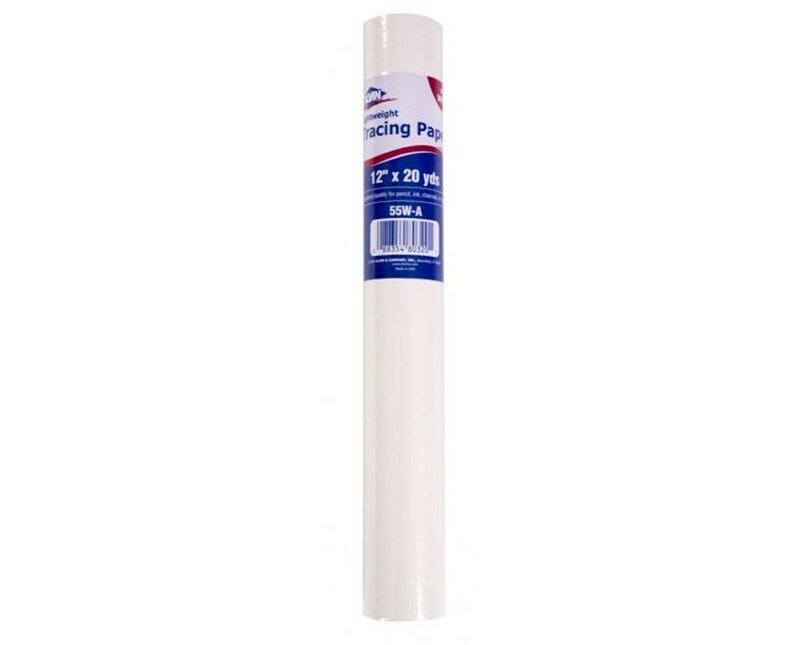 The Alvin Lightweight Tracing Paper Roll comes in 17 sizes and two color options. Please select your preference from the drop-down menus above. 55W-A: 12-inch x 20 yards, White, 8 lb. 55W-B: 14-inch x 20 yards, White, 8 lb. 55W-C: 18-inch x 20 yards, White, 8 lb. 55W-D: 24-inch x 20 yards, White, 8 lb. 55W-E: 30-inch x 20 yards, White, 8 lb. 55W-F: 36-inch x 20 yards, White, 8 lb. 55W-N: 42-inch x 20 yards, White, 8 lb. 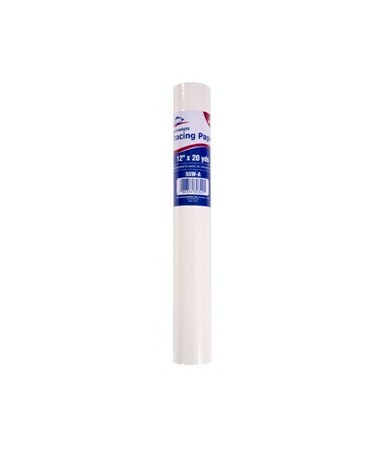 55W-P: 48-inch x 20 yards, White, 8 lb. 55W-M: 6-inch x 50 yards, White, 8 lb. 55W-G: 12-inch x 50 yards, White, 8 lb. 55W-H: 14-inch x 50 yards, White, 8 lb. 55W-I: 18-inch x 50 yards, White, 8 lb. 55W-J: 24-inch x 50 yards, White, 8 lb. 55W-K: 30-inch x 50 yards, White, 8 lb. 55W-L: 36-inch x 50 yards, White, 8 lb. 55W-Q: 42-inch x 50 yards, White, 8 lb. 55W-R: 48-inch x 50 yards, White, 8 lb. 55Y-A: 12-inch x 20 yards, Yellow, 7 lb. 55Y-B: 14-inch x 20 yards, Yellow, 7 lb. 55Y-C: 18-inch x 20 yards, Yellow, 7 lb. 55Y-D: 24-inch x 20 yards, Yellow, 7 lb. 55Y-E: 30-inch x 20 yards, Yellow, 7 lb. 55Y-F: 36-inch x 20 yards, Yellow, 7 lb. 55Y-N: 42-inch x 20 yards, Yellow, 7 lb. 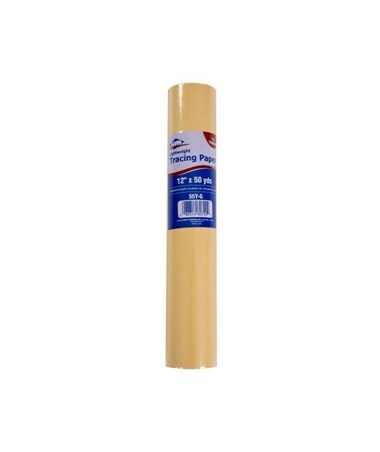 55Y-P: 48-inch x 20 yards, Yellow, 7 lb. 55Y-M: 6-inch x 50 yards, Yellow, 7 lb. 55Y-G: 12-inch x 50 yards, Yellow, 7 lb. 55Y-H: 14-inch x 50 yards, Yellow, 7 lb. 55Y-I: 18-inch x 50 yards, Yellow, 7 lb. 55Y-J: 24-inch x 50 yards, Yellow, 7 lb. 55Y-K: 30-inch x 50 yards, Yellow, 7 lb. 55Y-L: 36-inch x 50 yards, Yellow, 7 lb. 55Y-Q: 42-inch x 50 yards, Yellow, 7 lb. 55Y-R: 48-inch x 50 yards, Yellow, 7 lb.